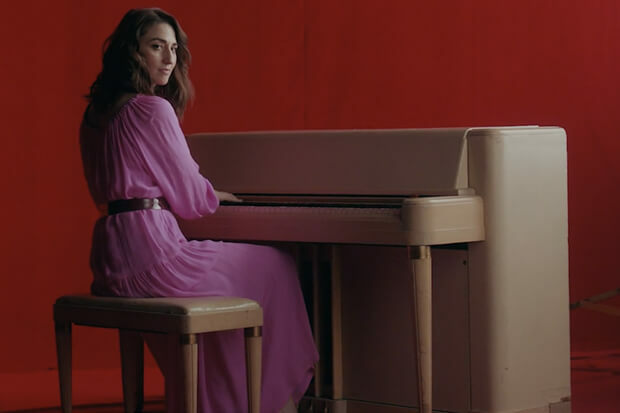 Starting with a quote by Maya Angelou (“the woman who survives intact and happy must be at once tender and tough”), it’s immediately apparent that “Armor” isn’t your typical Sara Bareilles video. The beloved singer/songwriter, who is putting the finishing touches on album number five, joins the growing chorus of powerful women demanding change in their respective industries and the world in general. She does this by incorporating protest footage into the clip as well as a little choreography. Yes, you read that correctly. The 39-year-old briefly steps away from her piano to join an all-female dance troupe. (Sara belts out the song while they dance behind and around her). The video is as powerful as it is striking, and offers a tantalizing glimpse into the Grammy nominee’s new era. The “Brave” hitmaker clearly has a lot on her mind and she is willing to escape her comfort zone to express it. Watch her in action below. Did you love the video? Let us know below, or by hitting us up on Facebook and Twitter!